All my sweet newborn babies are growing up! Little Miss C just had her first birthday! She got to play in a field with big bunches of balloons. Of course they all had to be pink and purple, something very girly for the little sister of two older brothers. She was just wanting to take some steps on her own, but the grass and uneven terrain made it a little difficult, so she was content to stay put or walk while holding mom’s hand. She also had her first experience wearing pearls, and they were so fascinating that she wouldn’t even look at the three adults whooping and hollering to get her to look at the camera. But capturing that intense toddler concentration was pretty cool too, because that is exactly who she is right now! 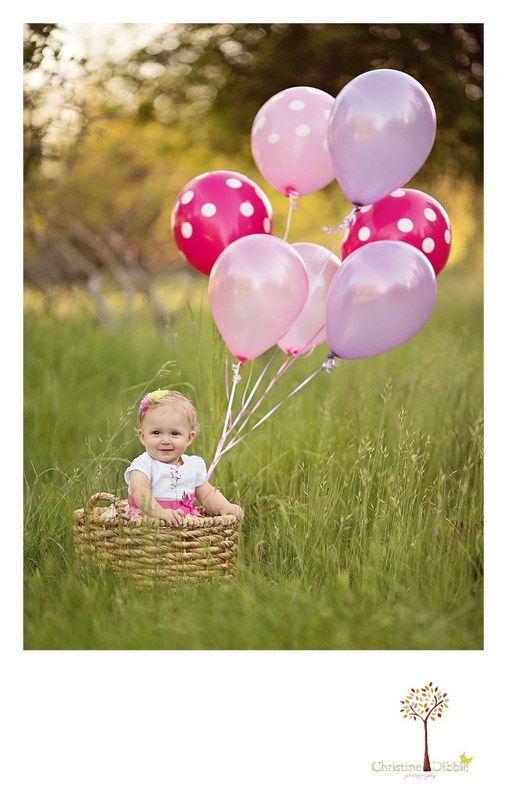 Brenden-So Cute Photo - I cannot tell you how much I love pink polka dot balloons!! What an adorable first birthday session! You captured so many adorable faces of her! Lauren - Too. Much. CUTE! Love those pops of pink color — and this child, goodness! She’s adorable. Michelle - I loved each and every photo of this little girls first birthday pictures!! You gave me such a big smile and I wanted to see what cute expression that you captured from her!! I LOVE THE LOCATION for this session I am sure it is some secret spot you have found in the sonora area! I love the little blue chair that she is sitting on also, I think it gave her the little added security to having so much fun during your session! One more thing I love about this Birthday Session ….. the ballons and the pearls!! Great job from on of my favorite Maternity Newborn and children photographers in the Sonora CA area!! 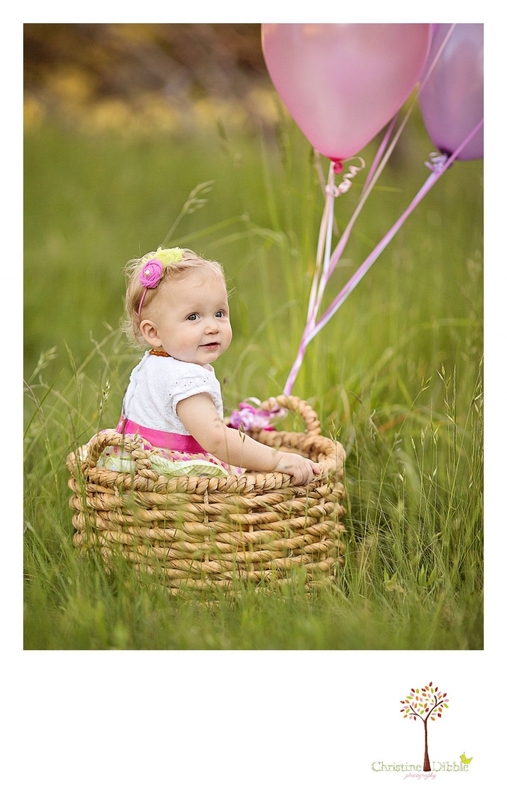 Ruben Nunez - What a cute idea to incorporate balloons in this birthday shoot! The images are just stunning! Love the colors and the setting. Allison Anderson - Aww how cute is she with her little curls and two little toofies! Awesome first birthday session. And Sonora CA continues to stun me with it’s beautiful places. Wonderful child photography session! Jenni - My goodness, she is just the CUTEST!!! I love on location natural light photography and you pull it off beautifully 🙂 This little girl’s birthday shoot turned out wonderfully <3 The pearls and the balloons were the perfect accent for a first birthday photo shoot. daria - Love this adorable cake smash on location! How happy does she look! Michele - These images are so lovely. They make me miss my boys as babies. So sweet. The faces you captured are perfect, and the colors are awesome!!! Nicola - What beautiful photos of an adorable little girl! I love how you captured her different expressions… from her concentrating on her necklace to her cute tongue-out smile as she stands on the chair. So precious! 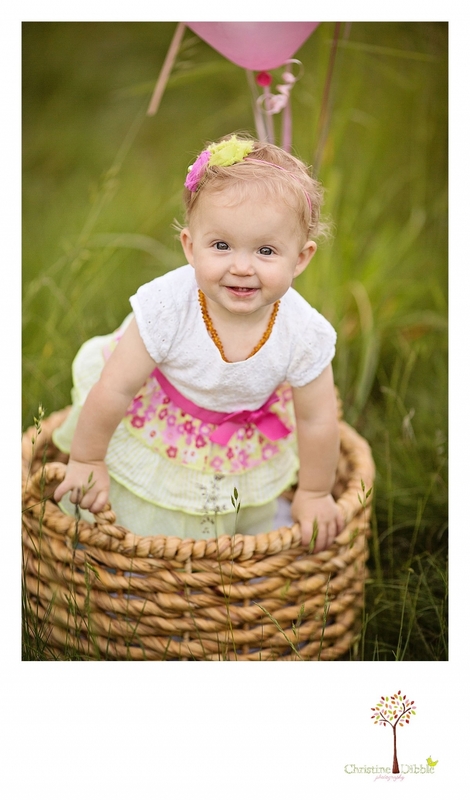 I’m sure her family treasures the images you were able to capture during her first birthday session. Stephanie de Montigny - Newborn Photographer - Christine, you’ve done it again. You make child photography look easy, effortless, and simple. Capturing stunning child portrait is definitely none of those! This birthday session is priceless and magical!